References.net is a multidisciplinary web directory of the most useful reference related resources that were carefully hand-picked by our editors. 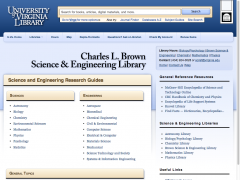 Browse our references collection by category, alphabetically, or simply search by keywords. Facilitating online access to information about scholarly societies across the world since 1994!